Travis Kvapil hopes Sunday's 500 won't mark the end of the line, but he concedes sponsorship woes are hanging heavy over his side of Doug Yates' three-team Sprint Cup operation. Former teammate David Gilliland was released earlier this year, when sponsorship dried up. However Yates' other two teams, with Bobby Labonte and Paul Menard, have solid sponsorship backing. Kvapil, though, is on the hot seat: Without more sponsorship he says he doesn't expect the team to be at Martinsville next weekend. "That's my impression," Kvapil says. "I think that's the plan --- not to go to Martinsville. But at the same time we'll see what happens this weekend….we definitely are still in the middle of talking to a couple sponsors. It seems like they have a lot of interest, but time is running out. "Everything is set and ready to go, and at a moment's notice we could pull the trigger on it (and be at Martinsville)." Kvapil qualified 17th Friday for Sunday's 500, faster than his two teammates. "Definitely from this point on there's a lot of uncertainty for our team, so we need to go out and have a good run," Kvapil says. "We've had just an incredible amount of bad luck this season…and at the time where we need the most luck, to have a couple of good things go our way. "We've had very fast race cars and have raced competitively but just haven't had the results with our finishes. "Every week I tell my guys they give me great race cars. But there's nothing you can do about some racing luck, with the engines and blown tires and things like that. "I feel I'm much more competitive this year than I was a year ago. But we're just not getting the results to show for it. 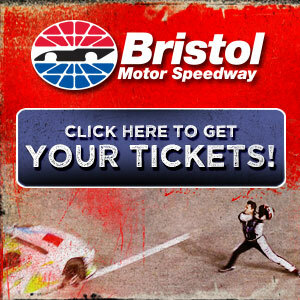 "Anything can happen at Bristol, but we just want to go out and have a good, solid day. If we do that, if we'll have a good, solid top-10, then you never know about next week."